Remembrance day is fast approaching, and although this is something we should cover all year round, it’s the perfect opportunity to share with children stories of the wars. I am a particular fan of a wonderful series of books which I strongly believe should have a place in every single library and school, and ideally every home also! These books are the creations of author Hilary Robinson and illustrator Martin Impey. This incredible pairing have, so far, created four fantastic books covering different aspects of World War One, and are working on a further publication to be released next year, and I have yet to find war books which cover the topic with quite so much heart, warmth, sensitivity and poetic beauty. For children they are absolutely fantastic and accessible. They help bring the impact of war home to us in a way we can empathise with on a personal level. To really feel and understand, as closely as possible, how men, women, families were affected by the war years is vital in showing how important it is to remember and respect those people who bravely fought and lost their lives along with the people left behind. Hilary’s lyrical and beautifully heartfelt words alongside Martin’s atmospheric and deeply human artwork come together to make truly exceptional books that will, without question, touch your soul. 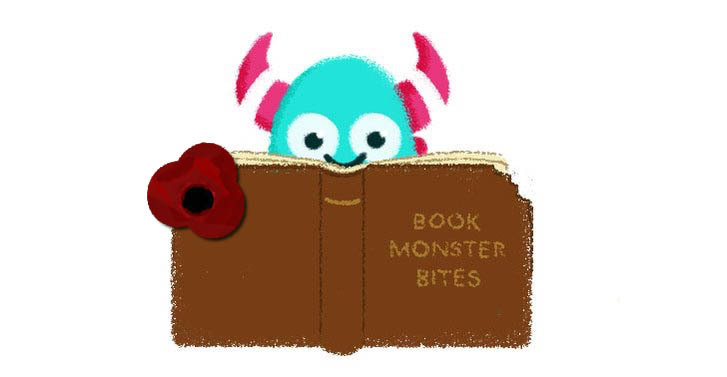 So for my latest Book Monster Bites, I am giving a post out purely to these books, in honour of all the soldiers who gave their lives during the World Wars, and those who have since, and also to Hilary and Martin’s tireless work to put their real stories out there. We will remember them. This is the story of Ray and his best friend Ben, who grow up together, but when war breaks out, they both find themselves growing up fast as soldiers. 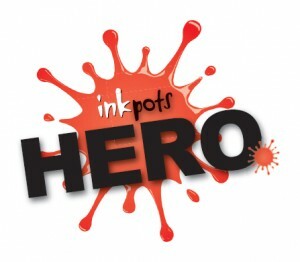 This story is told in verse by Hilary, which repeats and builds up gradually over each page. It’s absolutely stunning to read, and really gets to the heart of Ray and Ben’s story. Martin’s endearing characters help you empathise as you can almost feel the sound, smells and fear of war leap off the pages. This is the first book in the series, and one I will never forget seeing for the first time. Reading it over and over and realising that I had found something quite new and different. An absolute must for every school library. Back with Ben and Ray, two young soldiers fighting in World War One, in a reimagining of a remarkable true story. We are taken straight to an area torn apart by war, surrounded by barbed wire, as cold and frightening as it gets. But this isn’t a story about fighting, it is a story about peace. We see the soldiers on both sides celebrating Christmas in the best way they can in the trenches, with modest Christmas trinkets … all they have. 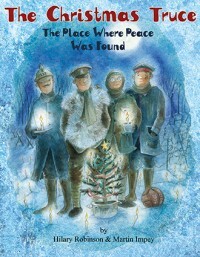 Ben and Ray’s enemy soldiers sing Silent Night across the fields, and as a result the two sides (for a short while at least) find peace in No Man’s Land. They shake hands, play football together, sing and celebrate as best they can as equals, men stuck fighting, risking their lives, missing their families and homes. 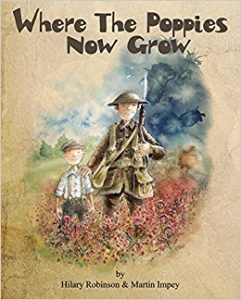 Created in the same poetic and illustrative style as Where the Poppies Now Grow, it’s another fantastic tale of, not just the war, but of forgiveness too. Truly beautiful. The third book in the series, this story focuses on the animals who helped, and still help us, through the war. Flo the dog is the focus of the story, but other animals feature too, showing just how much we owe to these remarkable creatures. 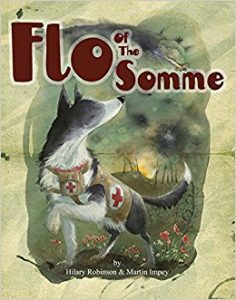 This book shows the bravery of Flo as she rushes across war ground to rescue a soldier. This story, like the others, is emotional and eye opening to read. What I really love about it though, is that, although it focuses on the horrors that we know took place during WW1, it has a positive feel. It is about comradeship, friendship and loyalty and about overcoming fears to help others. Dogs really are mans’ best friend. The Lost Gardens of Heligan, near Mevagissey in Cornwall, were, for many years, very much lost. When World War 1 broke out in 1914, most of the garden staff were enlisted to fight, and tragically, many of them never returned. Their names were scratched into the toilet wall of the gardens, and the discovery of these names led to much work tracking down old photos, documents and relations of those who used to work in the gardens. One such name, was Will, a kind and gentle soul who is at the very heart of this rather beautiful book. This is my favourite of all Hilary and Martin’s books. I know how much hard work and emotion they injected into retelling Will’s story and it shows in every pencil line and each written word within the pages. This is known as the book that broke the blogger, and it certainly did that. The emotion flies off the page like gunfire, battering your senses. 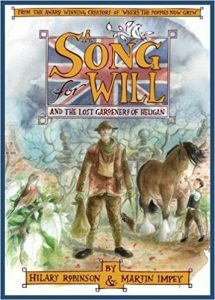 A Song for Will is heartfelt, emotional, truly exceptionally good non-fiction for all ages. There you have it. Four fantastic historical books, which are fictional but based on true life events, and are entertaining, but with real educational value. A must for every reading space and the very best way to remember and honour those brave men, women and animals. 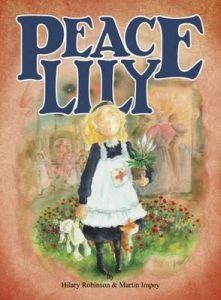 Hilary and Martin’s next book in the picture book WW1 series is Peace Lily, which is due for release late next year. Do keep an eye open for that! 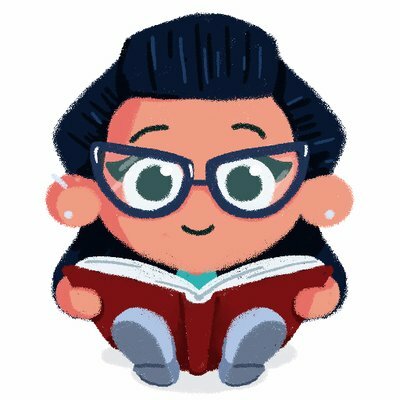 Thank you for reading this selection of Monster Bites. All the above books are available from good bookshops and libraries, so please please do take a look at them, particularly in the run up to Remembrance Day.